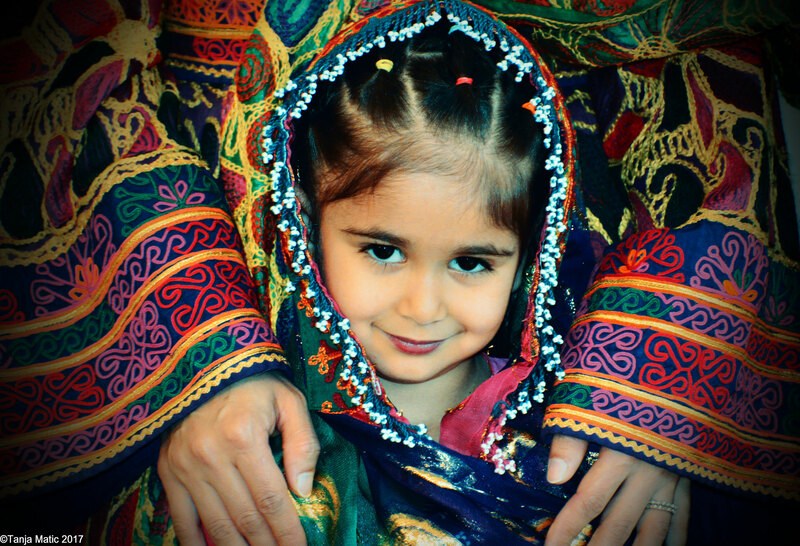 Abdullah Family, Afghanistan - Site de tanjamaticphotography ! Il y a deux ans, Yann Guerchanik, journaliste de La Gruyère, écrivait un article sur la situation des migrants. Il y raconte l’histoire incroyable de la famille Abdullah. Tamim et Atya, originaire de Kaboul ont deux filles Nazmin et Nargis. Tamim travaillait en qualité d’interprète au sein de l’armée française déployée en Afghanistan. Suite à de nombreuses menaces et attaques contre sa famille, Tamim décide de quitter l’Afghanistan en passant par plusieurs pays: Tadjikistan, la Turquie, l’Italie, la France, le Danemark, la Norvège par voie terrestre et par bateau. Atya le rejoindra quelques temps plus tard. Suite à la décision des autorités norvégiennes de renvoyer la famille après 3 ans en Afghanistan, Tamim et Atya rejoindront finalement la Suisse en 2015. Tamim et Atya vivent actuellement dans le canton de Fribourg avec leurs deux enfants. Tamim, voici deux ans que l’article de Yann est paru dans le journal. Qu’est-ce qui a changé depuis ? Suite à l’article de Yann, j'ai vu un peu d’espoir sur mon chemin et je me suis préparé à lutter contre les mauvaises situations. Quelles sont vos rêves à toi et à Atya ? Vivre en paix et être efficace dans notre nouveau foyer car l'autorité suisse a accepté notre demande d'asile il y a quelques jours. Tamim Abdullah is Afghan. He and his family arrived at the refugee center “Les Passereaux” in May 2015. He does not know what tomorrow will bring and would have never imagined what he has experienced yesterday. Tamim Abdullah runs without being able to stop. He runs with his wife Atya (23) and their two daughters, Nazmin (10 months) and Nargis (soon 3 years). Here is their story. In 2006, Tamim found a job as a waiter at the Camp Warehouse restaurant, the headquarters of the International Security and Assistance Force in Kabul, Afghanistan. He is 19 years old and speaks English. The French army is looking for interpreters. Tamim starts taking French courses at a High School in Kabul. In 2008, he was hired by the Kapisa Province Joint Task Force. The French troops have just deployed in this province which is infiltrated by the Taliban rebels. They will fight there until 2012. It’s there that the French army will lose the most soldiers (54 of the 88 killed). "Two of my friends have died in suicide bombings," Tamim said. The young Afghan is nevertheless happy with his situation. "I learned a lot and I had a good salary, about 800 euros a month (16 times the average salary in Afghanistan)." Above all, he is soon transferred to the Tagab rescue station. Speaking Pashto, Dari and Farsi, he ensures the translation between the population and the medical staff of civil-military cooperation. "When I was young, I dreamed of becoming a surgeon, like my uncle in Denmark." 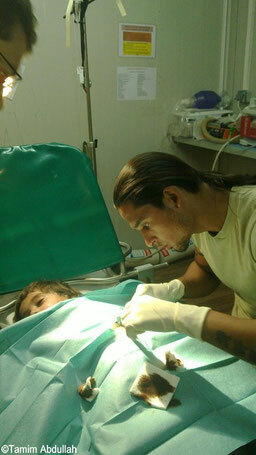 At the Black Rock Task Force, he learns to perform a few paramedical procedures (disinfection protocols, wound sutures). "Sometimes up to six wounded people would arrive at the same time. I could make myself useful, "says Tamim by scrolling through the photos on his cell phone ... maimed children, crippled women and men. The young man becomes a valuable link between the Afghan population and the French military. He goes on a mission to the villages where people call him "Dr Tamim". But not all Afghans see his collaboration a good one. His mother, also hired at the Camp Warehouse in Kabul as a cook, gave up her work in 2007, under the pressure of her neighbors who called her "unfaithful". In 2011, his father asked him to leave his job as an interpreter without explanations. Soon, Tamim received an anonymous phone call: "A man told me not to work for NATO anymore, or he would kill me and my family." Reluctantly, he puts an end to his engagement and returns to Kabul. For several months he is unemployed. During this period, he marries Atya, 23 years old today. A few weeks after his wedding, a friend interpreter solicits his help for a summit in Mahmoud-e-Râqi, in the province of Kapisa. French officials are scheduled to meet Mujahidins during the traditional celebration of the Soviet withdrawal from Afghanistan. We are now in April 27, 2012, the day when everything changed. Upon returning from the meeting, Tamim receives a panic call from his mother. Rushing to his house, he finds his German shepherd riddled with bullets, while neighbors are at the bedside of his father. Tamim takes him to the hospital where he will die from the blows that he has received in the head. "I called the Afghan police, but they did not answer. Later, the police came to see the death scene. There was no investigation. Three Talibans had presented themselves to his parents disguised as police officers. By order of their leader in Kapisa, they had come for him. Tamim had been afraid of suicide attacks but did not think the Taliban could knock on his door. In 2015, this seems more true than ever. The wave of attacks on Kabul in mid-August is a demonstration of strength. " The young man and his wife hide three days. After the funeral, they flee to Tajikistan. Tamim has gathered all his savings, sold his car at half price and gets a visa as well as a plane ticket to Turkey. The journey costs him $ 9,000. In Istanbul, Tamim finds a ferryman and engages in a process known to all migrants. “We give money to a “banker”, $ 5’000 in this case. If you reach your destination, the ferryman gets the money. “Last minute departure, long walks without knowing where we are going, with people we do not know and then the sea…”. He has nothing, just clothes and a hard drive. "The boat sailed six days because there was a breakdown. There was almost nothing to drink. The nights were difficult. "On the Calabrian coasts, the"Dublin” game " begins. Migrants try to arrive in one country, without being registered in another. (The Dublin Regulation would determine the first point of entry as the country responsible for their asylum application). Tamim succeeded in convincing the Italian agents to let him go to France. In Paris, he sleeps three days in the street, for the first time in his life. No room for him at the refugees centers. He rushed his decision, "an error" that he will regret for a long time. Looking back he believes he should have stayed, insisted. But outside it's cold, he doesn’t knows anyone. At the “Gare de l'Est”, migrants tell him that in Norway "it's good." Tamim leaves for Oslo. His application for asylum lodged, he transits through several refugees centers. Four months pass and Atya still has no permission to join him. In the meantime, she gives birth to their first daughter in Istanbul. Tamim has no money left. Through friends and exiled family members, he raises $ 1’500 to pay for the birth. "The first time I saw my daughter was a picture on Facebook!". Tamim decides to return to France and manages to stay a month in Paris, lodges with a compatriot and runs everywhere to defend his cause. Still the French authorities order him to return to Norway. Atya cannot wait any longer. She will try six times to cross the Mediterranean. Six times. Pushed back by the border guards, she will even be thrown into the water, her little girl tight against her in the lifejacket. She will eventually join Europe through Bulgaria. Finally, they will spend almost three years in Norway and will give birth to a second daughter. Tamim ends up finding a job in a pizzeria. In 2015, the Norwegians reject his request and order him to return to Afghanistan. The family flees to Geneva, "because Geneva is the human rights place." It will finally be Zurich, Kreuzlingen, and then Les Passereaux, in Broc. Last April, Paris decided to re-examine the requests of the afghan ex-interpreters of the French army. A light at the end of the tunnel. Tamim hopes. Tamim, it’s already 2 years ago that Yann’s article appeared in the newspaper. What has changed since then? Well, after Yann’s article, I saw a little hope on my way and I prepared myself to fight against bad situations. Living in peace and being efficient in our new home because the Swiss authorities accepted our asylum application a few days ago. 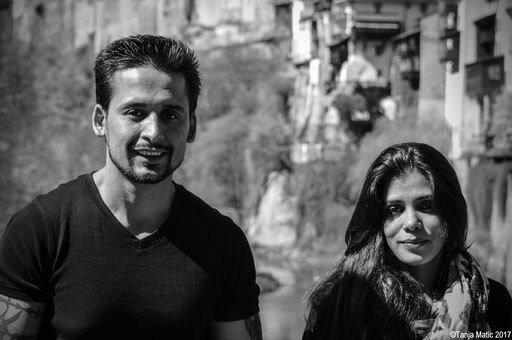 Tamim and Atya currently live in the canton of Fribourg with their two children.